Olixar Carbon Fibre case is a perfect choice for those who need both the looks and protection! 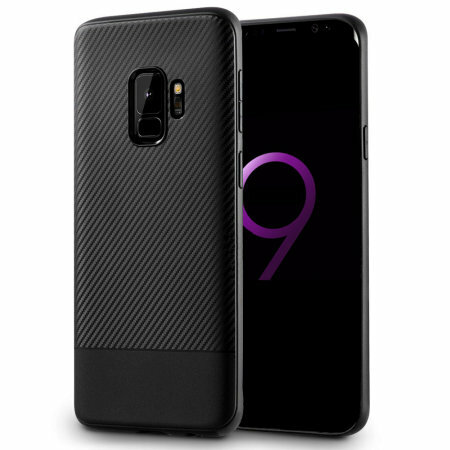 A flexible TPU material is paired with an eye-catching carbon print to make sure your Samsung Galaxy S9 is well-protected and looks good in any setting. Excellent strong case that fits well and protects nicely if you drop - which I have already found out! Just what I needed for my mobile. I have dropped my mobile few times, so I was looking for a good product that would protect my phone without the bulkyness, but still looked good. This item does it all. Fits perfectly light and flexible. The case fits perfectly and seems to provide good protection. Looks good and has some nice detail (as you can see from the image son the site). Would have given five stars but not convinced by 'carbon fibre' claim. Could simply be rubber! Either way, seems an excellent case for the price. It is very nice and clean case. Love it!